A big part of getting myself ready for summer, and actually something that I do year round, is to exfoliate my body. Finding a good body exfoliant is important whether you’re shaving, getting a wax, self tanning or just trying to get soft skin. You can use chemical exfoliants or physical exfoliants but both do the same thing by getting rid of your old skin cells on the surface and reveals the new shiny ones underneath! OK not shiny as such, but certainly softer and more glowing. 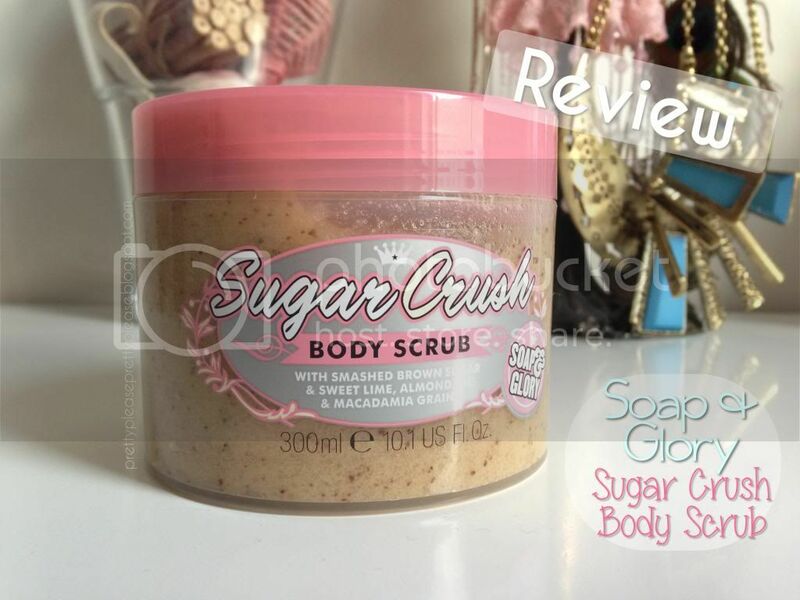 The product that I will be reviewing today is a physical exfoliant: it is the Soap & Glory Sugar Crush Body Scrub. I’m quite a big fan of Soap & Glory, you may already know that I am a little bit in love with their packaging, and this product is no exception! The pink, yellow and silver colour scheme will brighten up your shower space beautifully, and the size of the tub is pretty good too. Although if you’re using this all over your body once to twice a week like I do I can’t see the 300ml of product lasting much longer than a month. I always think that these exfoliants might be better off in some kind of squeezey tube too, because if you’re not careful, when you open this in the shower a lot of water often gets inside which just sits in the product and makes it cold and sludgy. The smell, on the other hand, is out of this world! It’s my dream scent for my morning-time shower. It’s smell of the lime that really prevails over anything else and makes you feel really fresh. 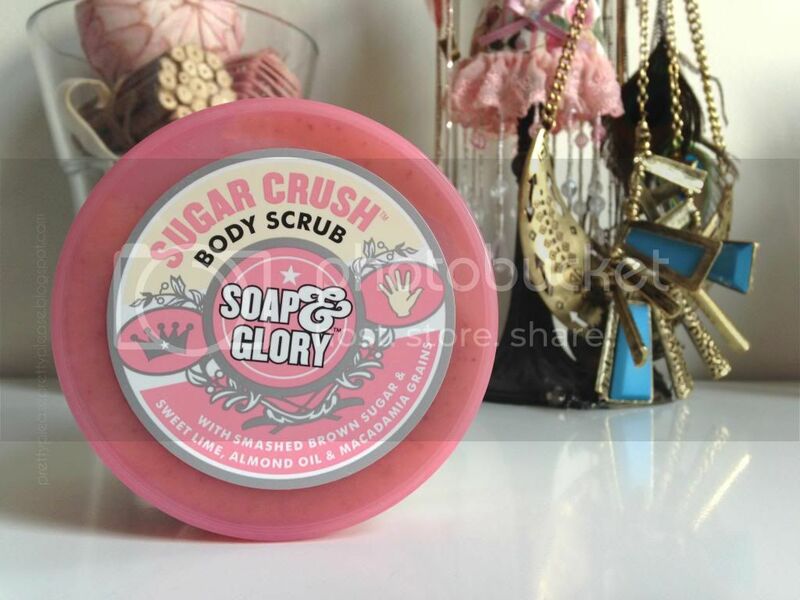 It definitely wins in the scent category for any Soap & Glory product I’ve used before! One of the ingredients is almond oil to help to give you a little moisture boost - but I’d always recommend giving your body a good slather of moisturiser after exfoliating anyway. The ingredients that act as exfoliants in this product are both brown sugar and bits of macadamia grains. I’m guessing that the macadamia grains are the little black dots that I can see in the product, which I must admit do make it look more interested, but they also seem to make the exfoliant a little harsher than I would have liked. Soap & Glory are definitely right to warn you not to use this product on damaged skin or if you've just shaved because if you are too rough with this it can break the skin. I was a bit too harsh on my knees one session and was left with a couple of little scratches which were a bit stingy! Not ideal when you’re about to shave or apply self tanner. My top tip with this is to be gentle. If it weren’t for that gorgeous smell I would probably be quite put off of the product by this, and I’ll definitely be switching it up with other body exfoliants in the future so that my skin isn’t too traumatised. I’m a little disappointed that this scrub won’t last that long, but this is a factor that’s fairly common across Soap & Glory exfoliants, and the sharp bits of macadamia is a bit of a let down too. Although looking at the price of some other body exfoliants today, I suppose for a £8 purchase you could do a lot worse. This product definitely has room for improvement, but I’m so in love with the smell and packaging that I could see myself purchasing this again, but maybe not right away. Which body exfoliator are you guys using at the moment? Have you tried any from Soap & Glory? 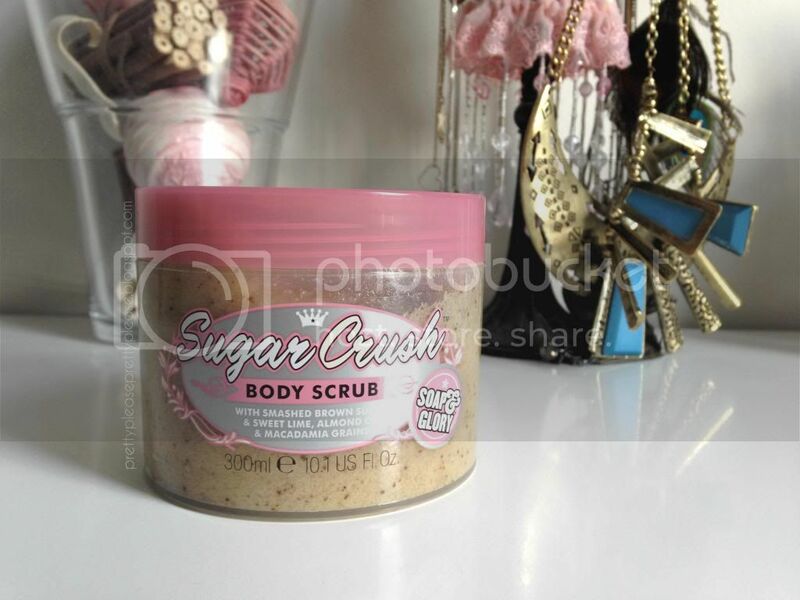 I don't own any proper body scrubs but this looks pretty good! Shame that it's a little too harsh as I have quite sensitive skin however I've heard that most Soap & Glory body products are great. 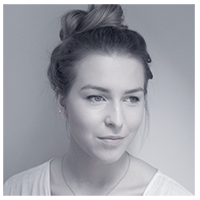 I love your blog btw, it is soo cute! I love these exfoliant! I used to use it once a week before a Spray Tan and it lasted months! Now I swear by Soap & Glory Pulp Friction... it is amazing!!! Exfoliating my body is one of my favourite things to do, haha, just because it makes me feel so refreshed. It's a shame this product was quite harsh, I guess that would make it a 'once a week' kind of thing. It's definitely something I'd want to check out though - my current body scrub is the opposite - too soft!